Leyla İmret, the ousted co-mayor of the southeast Turkish town of Cizre, has received a human rights prize from a German organisation for her “courageous struggle for Kurdish rights,” German state broadcaster Deutsche Welle Turkish reported on Thursday. The Berlin-based International League for Human Rights awarded İmret is Carl von Ossietzky Medal this week for her efforts in promoting human rights, also acknowledging her fight to reclaim the office she was stripped of. A native of Cizre, İmret spent her childhood in the German city of Bremen, returning to her home town in 2013. She won the local elections in Cizre the next year. 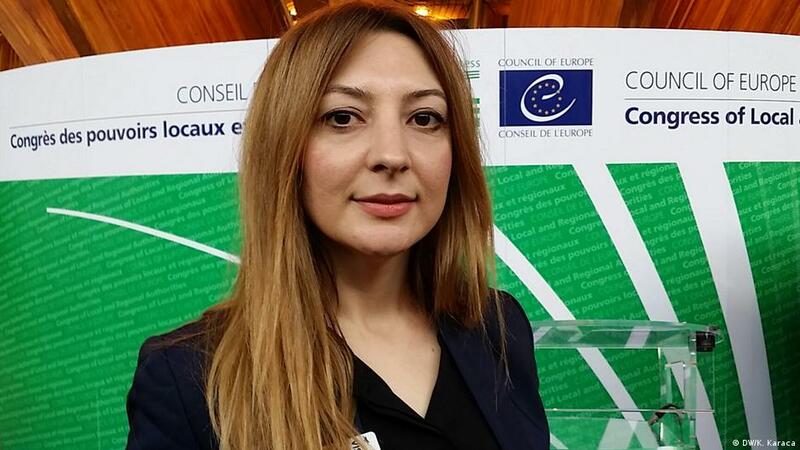 İmret performed her duties as co-mayor of Cizre until 2015, when she was one of many pro-Kurdish local politicians who found themselves stripped of their offices. A period of sustained pressure on Kurdish politicians in Turkey began that year, after the breakdown of a peace process between the Justice and Development Party (AKP) government and Kurdistan Workers’ Party (PKK), a militant group that has fought in Turkey for Kurdish self-rule since the 1980s. Cizre was among the areas in Turkey's predominantly Kurdish southeast where heavy fighting took place. İmret was accused of disseminating propaganda for a terrorist organisation and inciting the public to violence against the government of the Turkish Republic. The 31-year-old was replaced by a government-appointed administration in Cizre in 2016, and she returned to Germany after several spells in detention. İmret shares her award with German social worker Ottmar Miles-Paul. Cizre eski Belediye Başkanı Leyla İmret ve engelli hakları için mücadele eden Ottmar Miles-Paul, bu yılki Carl-von-Ossietsky İnsan Hakları Madalyası’na layık görüldü.